Ruedenberg, Klaus - Component of : Early Ideas in the History of Quantum Chemistry. (Picture : K.R. 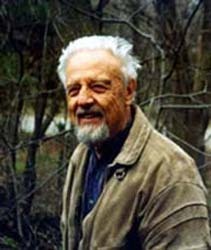 's Faculty page) Klaus Rüdenberg (sometimes spelled Ruedenberg or Rudenberg in the literature) was born in 1920 in Bielefeld, Germany. He obtained an M.S. in Chemistry and Mathematics in 1944 at the University of Fribourg, Switzerland (1944) and his Ph.D. in 1950 in Theoretical Physics, University of Zürich, Switzerland (1950). At the University of Chicago he worked as from 1950-1955 as a Research Associate in the Laboratory of Molecular Structure and Spectra, Physics Department. In 1955-62 he was Assistant and Associate Professor of Chemistry and Physics, and Chemist in the Ames Laboratory, Iowa State University, Professor of Chemistry, Johns Hopkins University (1962-64), Professor of Chemistry and Physics and Senior Chemist in the Ames Laboratory, Iowa State University (1964-91), Distinguished Professor in Sciences and Humanities, Iowa State University (1978-91). Distinguished Professor Emeritus and Senior Associate in the Ames Laboratory, Iowa State University (1991-present). At left Rüdenberg in 2000. For more details you might want to go to Rüdenberg's Faculty page. M.C. Zerner, Introduction: Klaus Rüdenberg, Int. J. Quant. Chem., 76 , 115-130 (2000). Copyright © Dec. 26, 2001 by U. Anders, Ph.D.